Hour cuts and schedule rollbacks are coming to a Walmart near you. Walmart is the American economy’s Invisible Hand, and it giveth and taketh away. So just months after announcing grand plans to give workers raises and better schedules, the mega-retailer appears to be rolling back its generosity, hour by hour. Bloomberg News reports that at various stores workers have seen systematic cutbacks to their schedules, including reducing shifts store-wide and forcing workers to take longer breaks. Here’s what happens when the rollbacks come to a Walmart near you: Barbara Gertz, who works overnight stocking shelves at an Aurora store, has seen the workforce thinning out for her coworkers with systematic cutbacks to their schedules, which seem aimed at offsetting the extra wages they recently earned during seasonal extra shifts. Not that things were great before. Walmart, like many other retailers, relies on a “just in time” scheduling system designed to nimbly follow market fluctuations and logistical flows. This saddles workers with erratic schedules and unstable income, while exacerbating gender and race divides in the retail industry. Gertz herself has just returned from medical leave and hasn’t seen major schedule changes yet. But she says she also hasn’t seen the positive changes that Walmart promised in February: a raise in the base wage to $9 and then $10 an hour by next year, as well as more stable shifts. Walmart announced plans to reform the scheduling system to offer associates “more control over and ownership of their schedules,” with more than two weeks advanced notice. After more than six years of working at Walmart, Gertz still only makes $11.30 an hour. She’s also noticed a convoluted new formula for calculating annual raises, which uses a percentage of her base pay instead of the usual addition of a few cents an hour, appears to be whittling down her total income. Other giants of the service and retail sectors, including Whole Foods and Starbucks, have lately responded to media reports about erratic schedules and rising public criticism over exploitative working conditions in service industries. For example, to address unstable schedules, Gap recently announced plans to end volatile “on-call scheduling” systems. But the history of such voluntary corporate social responsibility measures suggests the hype tends to eclipse reality in retail workplaces. So rather than wait for voluntary changes by brand-conscious employers, labor activists are pushing state and federal lawmakers for more concrete intervention. Congress is weighing the Schedules that Work Act, which would guarantee workers the “right to request” a change in their work schedule,” including the length, timing and location of shifts. The bill would also ensure some partial pay to offset a shift that was abruptly canceled—a rampant problem in precarious “on-call” service jobs like restaurant work and retail. Similar policies to curb schedule volatility has been proposed or passed in several states and San Francisco. 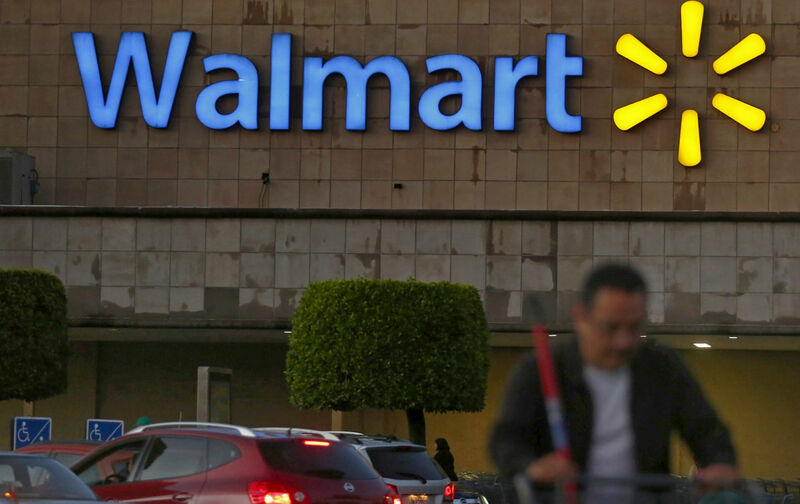 One-dollar raise notwithstanding, Walmart hasn’t reversed its spotty track record on labor. Last year, in a lawsuit brought by workers at a Pennsylvania store, the company was ordered to pay about $188 million in damages for about 187,000 workers who had been denied appropriate meal and rest times over a period of eight years. In June, a whistle-blower manager reported to Gawker that the company had been incrementally squeezing payscales and benefits structures and limiting hours, in order to wring more “savings” out of the workforce. The company is still battling charges of abusive policies toward pregnant workers and racial discrimination. Many of Walmart’s abuses are perfectly legal, however. According to Demos, if the company shifted some of its investments away from financial manipulations to boost stock prices, and instead drove funds into raising pay for low-ranked workers, Walmart could boost wages for about 825,000 low-wage workers by more than $5 an hour and bring a considerable boost to the economy as a whole. Yet although Walmart apparently has the revenue to immediately alleviate the poverty of hundreds of thousands of workers—and thus come close to meeting the Fight for 15 movement’s demands for a living wage and opportunities for full-time work—instead, Walmart’s pattern of wage theft and nickel-and-diming labor practices continue to aggravate socioeconomic inequality. And across the burgeoning low-wage service sector, payscales are slipping, with retail wages declining by roughly 5 percent in real value since 2009, according to the National Employment Law Project, even as CEO pay reaches stratospheric heights. Starting wages may rise for new hires, but Walmart veterans like Gertz know too well by now the workers’ side of the business model: with those everyday low prices, you get what you pay for–unfortunately.